Working on this puppy issue, it got me wondering if dogs have a sense of time, particularly in the absence of their owners. Year after year the days, weeks and months pass by us more quickly. Some days I can’t put a finger on where the time is going, and why it is buzzing past me so quickly. Working on this puppy issue, it got me wondering if dogs have a sense of time, particularly in the absence of their owners. All living things have circadian rhythm, which is the internal clock that runs in our subconscious. In dogs, aside from helping them distinguish waking and sleeping hours, this rhythm can also alert them to their regularly scheduled intervals such as meal times, daily walks, and their owners’ time to come home from work. 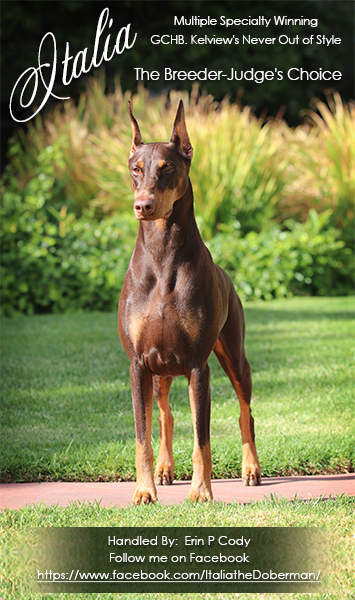 However, this does not indicate if our animals can feel the difference between an hour and a week, so like many of you, I wonder if our Dobermans miss us more when we’ve been gone longer. While the tremendous display of excitement and affection by our devoted canine companions is flattering, some people may wish their dogs did not have such a good sense of time. Consider the dog who suffers from separation anxiety, a dog who is accustomed to an owner arriving home at the same time every day, or the mother of a young brood in a situation where a brave puppy has escaped the box and needs to be rescued. Just thinking of the “escape artist” puppy brings a smile to my face reminiscing about that one Pointer puppy I saw on Facebook. Every time her owners left the house, they returned to her romping freely. They finally mounted a home camera to see exactly how she was doing it, and were astounded to find out how quickly this puppy could scale an ex pen or climb on top of a crate and launch herself overboard. Nothing stopped this one, and of course she turned out to be the one (who could deny her determination and attitude?)! So, to all of the breeders raising your next litter and to all of the owners sculpting your next superstar, I wish you well as you embrace your puppies. Just remember, time flies when you (ah-hem) puppies are left alone and having fun!